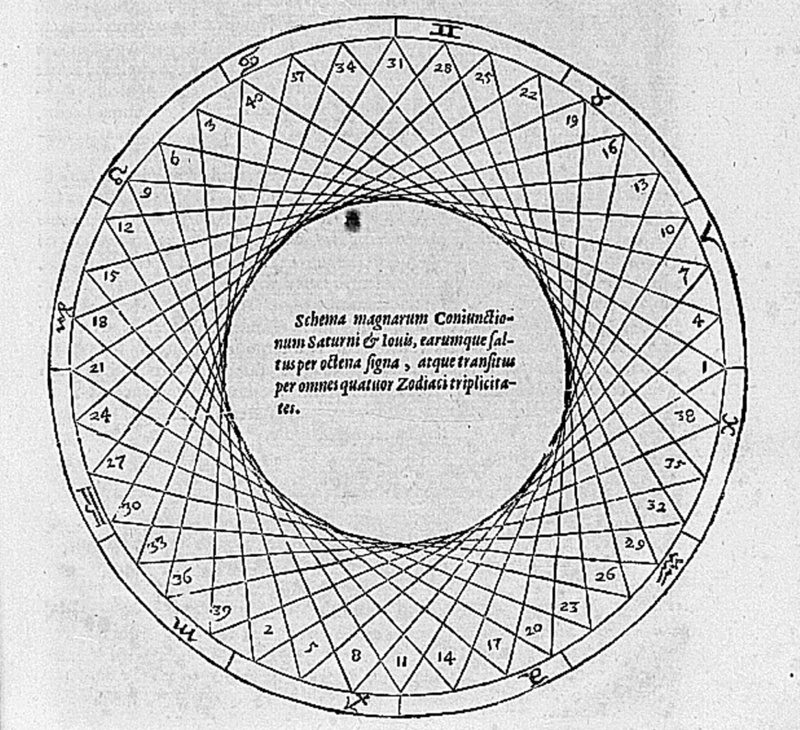 This diagram from the Mysterium Cosmographicum shows the recurrence pattern of the conjunction of Saturn and Jupiter, a major astrological event. This pattern led to Kepler's discovery of the nested polyhedra. At least 800 horoscopes drawn up by Kepler are still extant, several of himself and his family, accompanied by some unflattering remarks. As part of his duties as district mathematician to Graz, Kepler issued a prognostication for 1595 in which he forecast a peasant uprising, Turkish invasion and bitter cold, all of which happened and brought him renown. Kepler is known to have compiled prognostications for 1595 to 1606, and from 1617 to 1624. 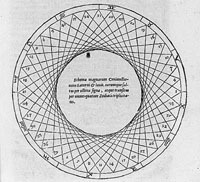 As court mathematician, he explained to Rudolf II the horoscopes of the Emperor Augustus and Mohammed, and gave astrological prognosis for the outcome of a war between the Republic of Venice and Paul V. In the On the new star (1606) Kepler explicated the meaning of the new star of 1604 as the conversion of America, downfall of Islam and return of Christ. 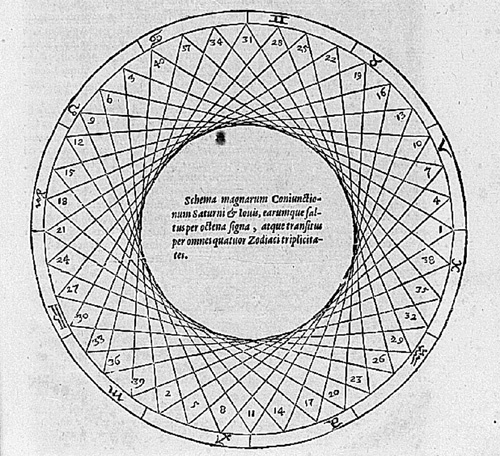 The De cometis libelli tres (1619) is also replete with astrological predictions.